The M12 Motorway subbed the Airport Motorway is a proposed new motorway in Western Sydney connecting the M7 at Cecil Hills with The Northern Road at Luddenham. Off-road shared pedestrian and cyclist paths. Reduce the cost of congestion impact to the community and business. 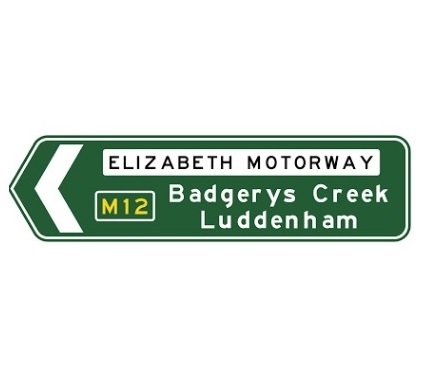 When is construction of the M12 Motorway expected to begin? Why is the M12 Motorway being built? 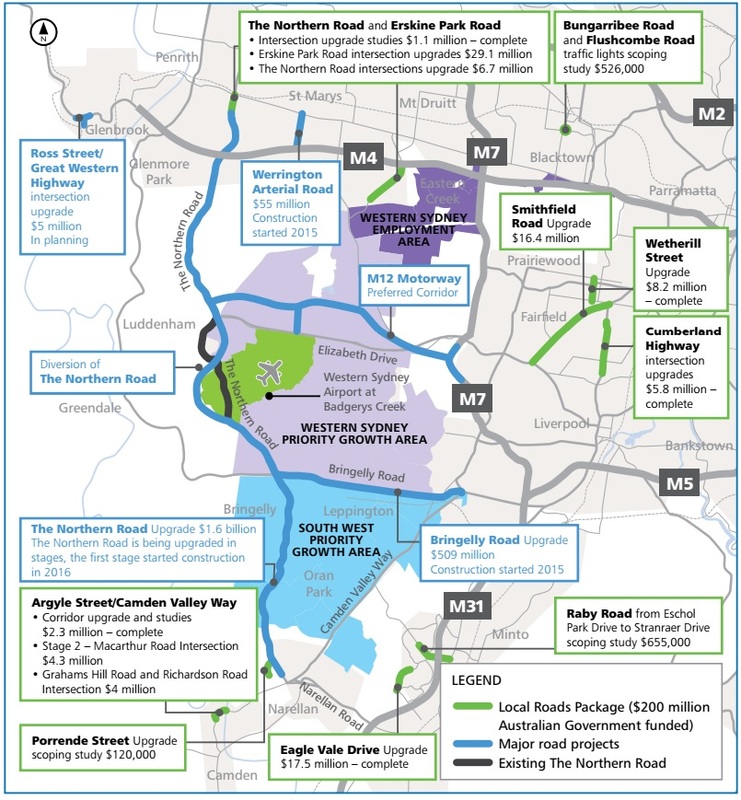 To facilitate the population growth of the new Western Sydney South-West growth area & connect the proposed Western Sydney Airport to Sydney’s existing motorway system. 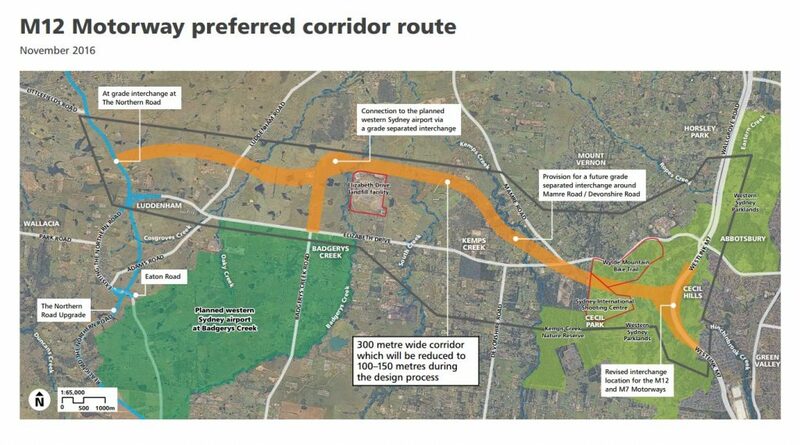 There has been a slight change in the route so it does not affect the Western Sydney Parklands in a major way, the new route is all but the same except for the entrance onto the m12 now being a few kilometres up the M7 in Cecil Hills. We have to hope and pray that the powers that be make the best decisions in regard to developing the infrastructure required to not only adequately service the new airport but to develop infrastructure that also has a very high level of aesthetic appeal. That of course also goes for the design of the new airport itself. This entire development simply must be something that impresses because it is such a major build and should be considered as significant as The Sydney Harbour Bridge (SHB) is; the SHB has stood the test of time and from the day it was finished to this very day and no doubt beyond, its aesthetic appeal is very highly regarded the world over. Please, please, please, a million times ‘please’, in regard to the broader development of the Western Sydney Airport, don’t just do well NSW and Federal governments but instead, hit the damn ball out of the park, so-to-speak. Fully Agreed Craig, we would love to see nothing better than a true “aerotropolis” as the government has claimed they will do when they first announced the project. It’s truly possible, especially with over $5 Billion to play with. Will the M12 have direct access to Mamre rd, if not why not?